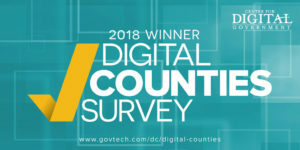 The Virginia Coalition for Open Government named Arlington County Government a winner for the creation of an online repository of records supplied in response to requests under Virginia’s Freedom of Information Act which launched in June 2016. NATOA awarded Arlington TV second place in the nation for Excellence in Government Programming and third place for the arlingtonva.tv website. NATOA (National Association of Telecommunications Officers and Advisors) is the premier local government professional association supporting communications interests and needs of local governments. Arlington’s Car-Free Diet Skeptics campaign won First Place in the American Public Transportation Association’s (APTA) 2011 AdWheel, in the marketing/promotional campaign category.